FIDER, an acronym for the Foundation for Interior Design Education Research, was an organization started in 1970 that was responsible for accrediting Interior design programs. FIDER is now known as CIDA, Council for Interior Design Accreditation. CIDA ensures students who attend one of their accredited programs receive the highest quality education available by setting rigorous standards for all post secondary college and university interior design programs. The CIDA governing board is made up of members of other interior design organizations, such as ASID (American Society of Interior Designers) IIDA, (International Interior Design Association) IDEC, (Interior Design Educatiors Council) NCIDQ, (National Council for Interior Design Qualification) and IDC (Interior Designers of Canada). One board member is drawn from each organization. The members of the board set the standards for accreditation, based on their real world experience in the field, and make the decisions about which courses fit the bill. Once the program has been determined to be compliant with the standards set by CIDA, accreditation is awarded for six years. Accredited programs are reviewed twice a year by the Accreditation Commission. CIDA looks for programs that are academically rigorous, that adequately prepare students for entry level Interior design positions and stay up to date with current trends as well as future trends that affect interior design and related industries. Setting professional standards is an ongoing process, as is reevaluating each program that must be re-accredited. Every six years, programs must seek re-accreditation. A new application and fee does not have to be submitted, however, programs must be prepared for a site visit just like the original visit. Reviews of a program's latest accreditation report is highly recommended to assess the program's progress since the last visit. Faculty members and administrators of interior design programs wishing to seek accreditation or re-accreditation can attend annual workshops held by CIDA. Presentations are given by faculty members of programs that have recently organized successful accreditation reviews. Recent workshop presentations can also be downloaded by visiting CIDA's Resources page. CIDA as a large network of supporters, including organizations, companies and individuals who provide crucial financial support to ensure that CIDA can continue to provide the interior design industry with quality educational services and qualified interior design professionals. Visit CIDA's Supporters page to view their Partners in Quality for information on how you can become a supporter. A CIDA accredited education is one approved by the interior design community as a whole and may allow you easier entry into the field. Some states only issue practice licenses to those who complete a CIDA approved education program. All in all, attending a CIDA accredited course will ensure all the opportunities out there are available to you. A list of CIDA accredited programs is available on their website. Keep in mind that CIDA accreditation of one program at a school does not imply accreditation of all of that school's interior design degrees. Interoir design is a highly competetive career field, and if you want to be successful, you will need every edge you can get. A struggling economy makes competition for jobs even more intense. Start from the ground up and arm yourself with the best education you can find. 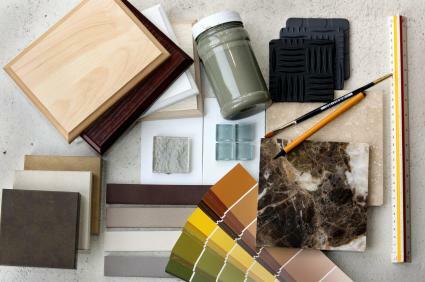 In the interior design field, the best education must start with a CIDA accredited Interior design degree.